The Maggie L. Walker Governor’s School Chess Club promotes and supports chess at the school, and encourages its members to volunteer in area chess events and activities. 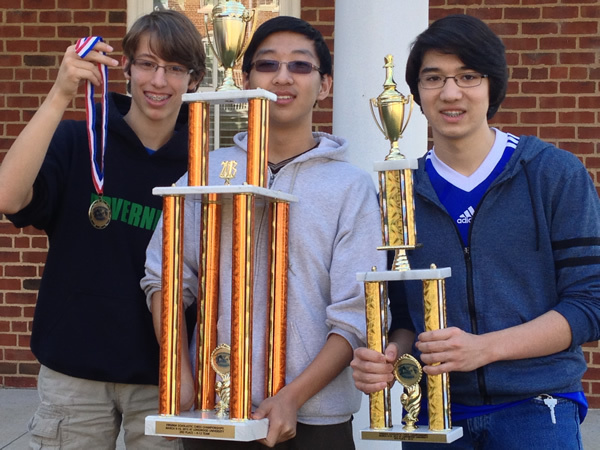 To help the chess team cover the cost of chess supplies, team instruction, and team travel to scholastic chess events such as the United States Chess Federation’s (USCF) High School Chess Championships, the Chess Club is hosting the Dragon Chess Camp from August 12–16, 2019 on the Maggie Walker school campus in downtown Richmond. 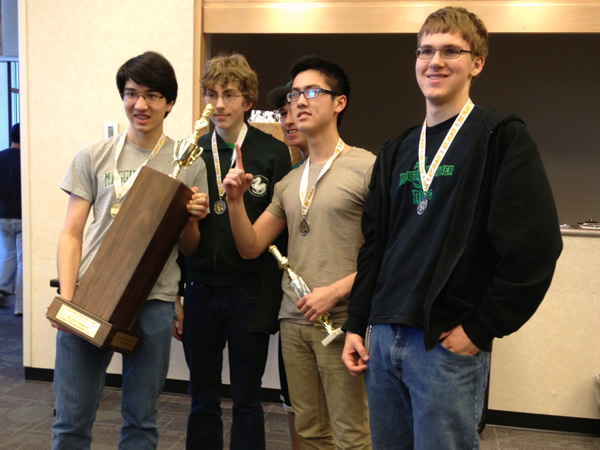 The camp is designed to help rising 3rd–9th grade scholastic chess players of all levels improve their chess skills. Instruction is provided by advanced players from the school chess team, with assistance from advanced adult players from the greater-Richmond area, and the camp is organized by MLWGS student and parent volunteers. 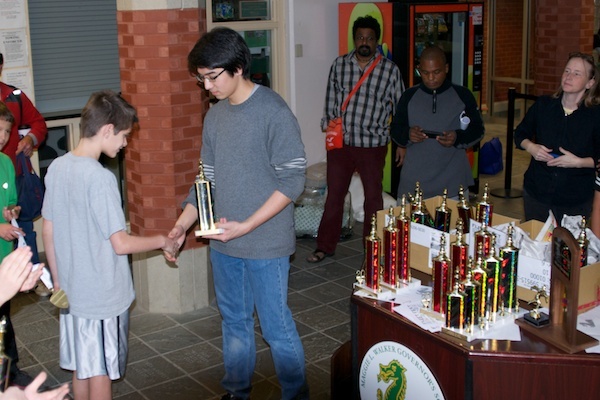 In addition to hosting the Dragon Chess Camp, the Maggie Walker Chess Club also hosts two scholastic chess tournaments each year, and a free monthly chess clinic open to all scholastic players. See our Facebook page and Twitter feed for more information. Maggie Walker Fall Scholatic · November 23, 2013: Our Chess Club hosts and proivides student volunteers for two scholastic chess tournaments each year. The Maggie L. Walker Governor’s School Chess Team and players compete in the Greater Richmond High School Chess League (GRHSCL), Virginia High School Chess League (VHSCL), Virginia Scholastic Chess Assoication (VSCA) and Virginia Chess Federation (VCF) chess tournaments. 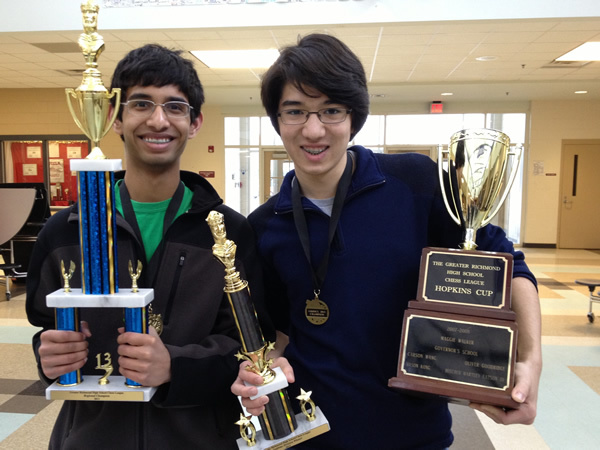 March 2, 2013: The Maggie L. Walker Chess Team finished first in the Greater Richmond High School Chess League (GRHSCL) Regional Championships at Deep Run High School in Short Pump, VA.
March 10, 2013: Our team, minus several players participating in other academic events, finished thrid in the 2013 Virginia Scholastic Chess Chapionships at Longwood University in Farmville, VA.
March 23, 2013: The Maggie L. Walker Chess Team, once again missing a few key players, finished first in the Virginia High School Chess League (VHSCL) State Championships at Tuckahoe Public Library in Richmond, VA. If you have quesitons about the Dragon Chess Camp, please contact us via e-mail at mlwgschess@gmail.com.